Horse Boarding Stables & Livery Yards Directory - Page 4 - O Horse! Stall, in/out grain stall, or pasture. Indoor arena, outdoor arena, and round pen. Private tack locker; trailer parking. All feed and hay provided. Fly mask - ok, blankets - ok, sheets - ok.
On site owner/caregiver. Same people feeding. Consistent hours and feed times! 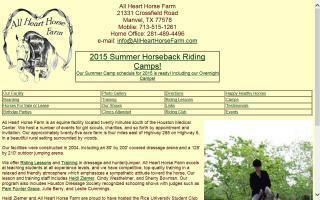 One-day and four-day horse camps designed for all ages and experience levels. Campers participate in real day-to-day horse care: feeding, grooming, horse show prep and more! Equestrian arts, crafts, games, and horseback riding every day. Home of reg Paints in beautiful PA.
Summer camp for ages six and up will be kicking off in July 2008! Monday through Friday 9am to 3 pm. We are inviting riders of all skill levels and disciplines to join us in daily group riding lessons, crafts, swimming, field trips, horse safety, grooming, games, and more! Your child will be matched up according to skill level, by the camp staff, to one of our safe and schooled lesson horses or ponies. All-Win Stables is located minutes north of Columbus just south of Delaware. Conveniently located in Delaware County with easy access to and from Sunbury, Dublin, Powell, Lewis Center, Marysville, Westerville, Columbus, Galena, and Delaware. There are large stalls with a wash rack and large indoor with Daily turn-out available, weather permitting. Full board available. When you want winning quality horse care, try All-Win Stables. For more info, please email us or call us. 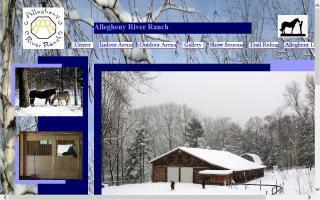 We are an equine boarding facility located in the heart of the Allegheny Forest on the Allegheny River. Large indoor and outdoor arena, box stalls, daily care with exercise, and overnight availability. All are welcome. 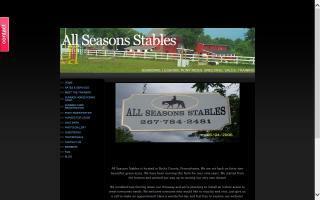 Allen Stables is a horse boarding facility located near Batavia, Owensville, Milford, and Amelia in Clermont County, Ohio. We are located just a few miles from the Bauer Road exit from State Route 32 in eastern Clermont County, Ohio. Clermont County is in southwest Ohio about 20 miles east of Cincinnati. Training facility for all breeds of horses. World champion performance horses. Horses for sale. Cutting, reining, and working cow horses. 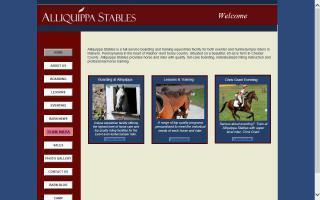 Alliquippa Stables is a full-service boarding and training equestrian facility for both eventing and hunter/jumper riders in Malvern, Pennsylvania, in the heart of Radnor Hunt horse country. 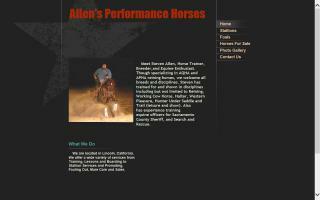 Aiken Horse Hotel - We offer large paddocks with run in sheds and personal service. Located in the heart of Aiken's horse corridor, Events, Polo, Driving, and of course our beautiful Hitchcock Woods are all close. Overnight travelers are very welcome, too! 10.00 per night per horse; 20.00 electric hookup. Ten miles from I-20.